I am proud to be an official Washington DC area dealer and Warranty Service Center for Benedetto Guitars. 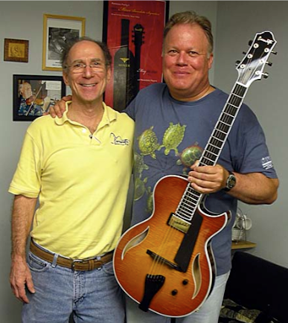 Robert Benedetto produces the finest archtop guitars available in an array of models, options, and prices. Please contact me for details. In addition to being a Benedetto dealer, I am also honored to have Bob give his prestigious name and endorsement to my Guitar Night. I enjoy building custom Telecaster copies. I have put together dozens of different variations for sale over the years. These are two examples. 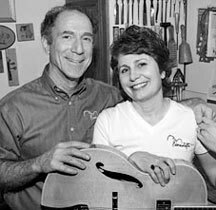 My wife, Nancy, worked as a luthier in Williamsburg, Virginia in the 1970s. 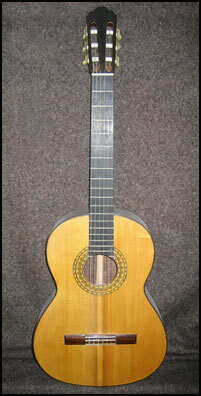 She built guitars and lutes, including this classical model.